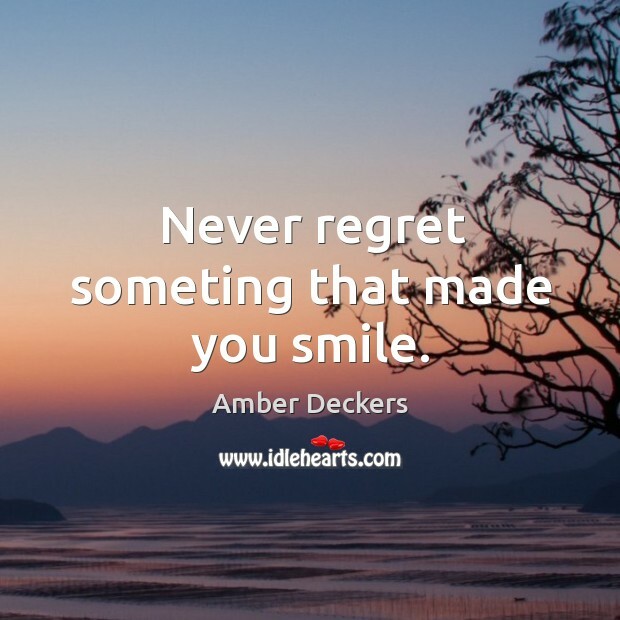 Enjoy the best inspirational, motivational, positive, funny and famous quotes by Amber Deckers. Use words and picture quotations to push forward and inspire you keep going in life! Never regret someting that made you smile.